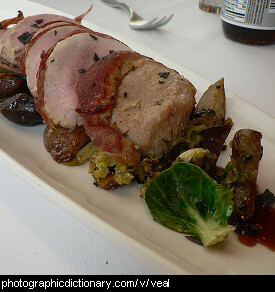 Different kinds of meats, from fresh to processed. 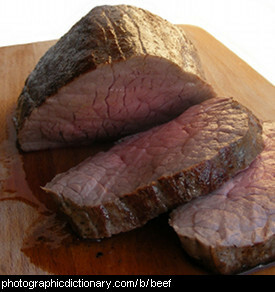 Beef is meat from cattle that have been raised especially to be killed for food. 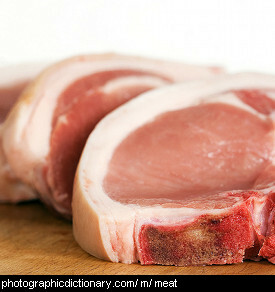 Meat is the flesh of any animal that is used for food. 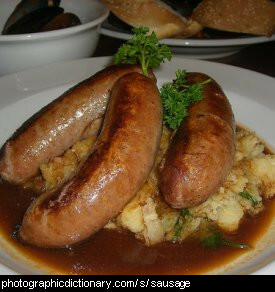 The animals that are most commonly used for food are cows, pigs and sheep. 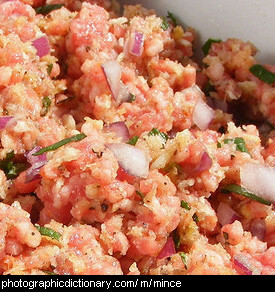 Meat can also be used to refer to the edible part of something, like the meat of a nut. 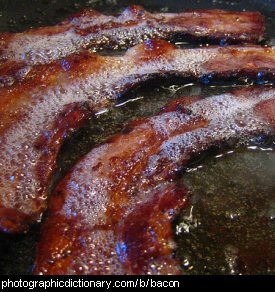 Pork is any meat that comes from a pig. 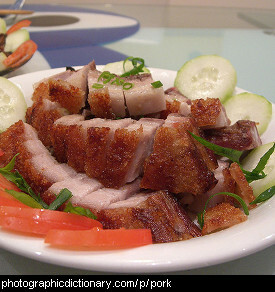 Some cuts and ways of preparing pork are used so often they have their own names. 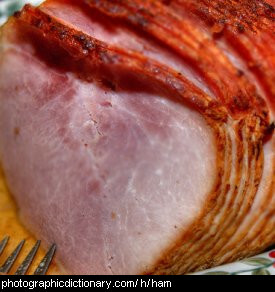 Two of these are ham and bacon. Steak is a cut of meat, from any animal or fish. The best cuts of steak are quite tender. 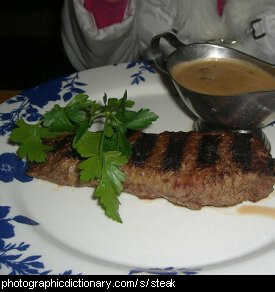 Steak is usually served grilled, with vegetables or salad.